This EZ Up Tent 10ft x10ft has 100 ft of coverage. Appox 20 people can stand under. 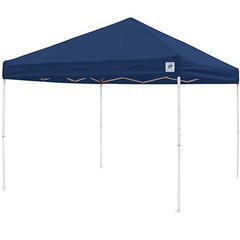 Great protection from the sun or rain during your event. This item must be able to be staked otherwise 2 canopy weights must be ordered to secure it. If you order without an inflatable a $40 Non-Inflatable fee will be added.